Note: This page last updated 2019-04-20. 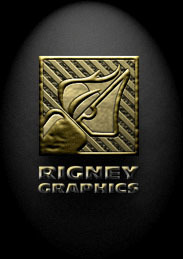 Rigney Graphics - For exceptional graphic design, we recommend Rigney Graphics. Not cheap, and worth every penny. We work with the folks at Rigney on website re-designs and search engine optimization on sites they pick up and rescue, and on new sites they are designing. We highly recommend them for all kinds of graphics work, including some very fine high-end printing services. SailCat Graphics - We also recommend Sailcat Graphics and have done many joint projects with them. Very reasonable rates. We especially like Michael Teague's sense of humor. Michael created the graphics used here on the Words in a Row website and on many of our clients' websites. Highly recommended. Contact my client Ned Berndt: Miami Condos - Miami condo VIP pricing opportunities in Miami, Miami Beach, Coral Gables, Brickell or Aventura and Miami-Dade county. Call 1-800-433-5960 for the Miami Condo Lifestyle! JM Blog - the web journal site of Jere Matlock, the creator of Words in a Row. Worth a look? You decide. Business Marketing Survival Kit - Joel Sussman of Optimal Marketing has put together a Business Marketing Survival Kit which has a lot of useful information, in the form of books other educational tools. Especially useful if you are new to all this web marketing stuff. Search Engine Watch - This was originally Danny Sullivan's site and it is THE reference bible about the search engines. It has more info than you can probably use, but it is very well arranged and easy to follow. Subscribe to their newsletter for monthly updates on what the search engines are up to. They change constantly, and it pays to know what's going on with them if you hope to have a good ranking for your site. C++ Training by BD Software; one of our web design and optimization clients. This is the site of Leor Zolman, who is something of a celebrity among programmers. Back in the early 80's he created the first C Compiler targeted exclusively for "personal computers" (back when that meant writing for CP/M, the forerunner of DOS). These days he's teaching advanced on-site training seminars in C, C++, Java, Perl and UNIX. His client list is quite impressive--recently he was teaching programming at Wood's Hole Oceanographic Institution. If you have a crew of programmers it is a lot easier (and cheaper!) for Leor to go to your facility and teach them advanced programming skills or bring them up to speed right where they work than it is to fly them off to learn somewhere else. We believe Gloves in a Bottle dry skin care lotion to be the best skin protectant available anywhere. It is very effective at protecting your hands (and other exposed skin) against chemicals and toxins. We use it here when out doing yard work to protect against poison oak. If you are using synthetic chemical detergents or bleaches, or chemical fertilizers or pesticides, Gloves in a Bottle skin care lotion will help protect your skin and prevent absorption of these chemicals. It even protects your skin while wearing latex gloves--from the latex! Vital for those with allergies to household cleaning products or with latex allergies. 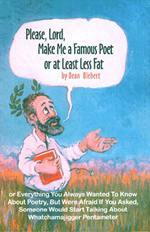 "Dean Blehert is quite simply the finest satiric poet working in America today." -- Satire Magazine. "This is just poetry; it won't save you, but may locate you, so that a rescue party can be sent out." Russell Salamon says the following about himself: he "lives in Los Angeles in a cupboard like a secret brew of herbs saved for the moment of escape. He is a breakout artist, an escape master. He has broken into present time often and carried away the dew from roses and put it on reader's eyebrows. He has been collecting sounds of galloping horses so that he may stampede on your eardrums. An avid collector of reality-in-the-bud before it flowers into cities, he has shaped many a moment into strange aromas and has released them on breezes. If you smell something unusual it may be your hair burning." Russell has several books available in typeset manuscript form with an original painting on the cover, painted by himself. These are interesting to look at and enhance the quality of presentation. The paintings are "color music". The books are: Redwoods in the Rain; Breakfast in the Twelfth Century; Love Poems for Older Women; Lighting the Eyes; Say Those Stars Slowly I Am Still Learning; Technical Difficulties at the Resurrection; and the latest, Two Infinities Dancing. There is also Descent into Cleveland, a poetic novel from the 70's. The poetry of Russell Salamon is worth buying and reading. I own several of his books and plan to buy more. Contact the Citizen's Commission on Human Rights for the truth about psychiatric abuse. This site is not for the squeamish. If you or a loved one have been victimized by a psychiatrist, contact CCHR for help. CCHR has been instrumental in closing down hundreds of barbaric psychiatric hospitals across the world, and for investigations leading to the arrest, trial and conviction of many individual psychiatrists for sexual abuse, murder of patients, criminal financial fraud, etc. This is the only group doing anything effective to bring the entire field of psychiatry under any kind of control. The more you find out about what psychiatry is really doing, the more outraged you will be. Freedom Magazine is hard-hitting reporting that gets to the bottom of issues. In a time when Pulitzer Prizes are being awarded for lies and propaganda, when New York Times and USA Today reporters make up stories and editors resign in disgrace, it's good to know that there is at least one magazine that does not make anything up and goes to great lengths to find and expose the truth--the actual stories behind whatever sound bites the other news media are repeating. For example, discover what is behind the tremendous upsurge in violence in our schools, and what psychiatry has really been up to the last few years. Why are over six million American children being forced to take dangerous drugs every day at school? Drug Salvage is for those who are on drugs or know people who are on drugs, and want to get off of them. Helpful, specific information about what cocaine, heroine, ecstacy and marijuana actually do, and how to help people break out of addiction. Drug Withdrawal Program If you know someone with a drug or alcohol problem, whose happiness and health are important to you, contact Narconon now. - Thirty-nine years ago it was the Scientologists who rolled up their sleeves and helped me overcome my dependence on dangerous street drugs. I've been clean ever since, so I know first-hand that Scientology offers practical solutions for 'unsolvable' problems like drug addiction, the inability to communicate, emotional problems, abusive family situations, alcoholism--you name it. In fact, there is a whole catalog of life-changing help to choose from. Whatever the situation, something CAN be done about it. I know - I've been there. I've been an ordained minister of the Church of Scientology since 1976. I am proud to also be a Volunteer Minister, one of the people occasionally called into service to help when there is a disaster. Many Volunteer Ministers were there after 9/11 at Ground Zero in New York to help the survivors cope, and Volunteer Ministers flocked to Louisiana in the the aftermath of Hurricane Katrina to hand out food and water. Volunteer Ministers were there in the ravaged sections of Sri Lanka and Thailand, helping bury the dead and console the survivors of the tsumani in late 2004. What Volunteer Ministers are best at, in my view, is confronting the confusion that such scenarios offer, and helping others to confront that confusion, and handle it, one particle at a time. For example, it was a small team of Volunteer Ministers who helped piece together the personnel records of some of the large companies destroyed in the World Trade Center attack on 9/11, so benefits could be paid to the husbands, widows and orphans of those killed; despite all official records being destroyed in the collapse of the towers. This project took months of patient work, thousands of phone calls, emails and letters. The Volunteer Ministers did it because it needed to be done. Did you mean to get to our tutorial on how to get links to your website? To contact Words in a Row, click here.